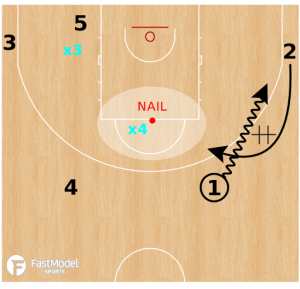 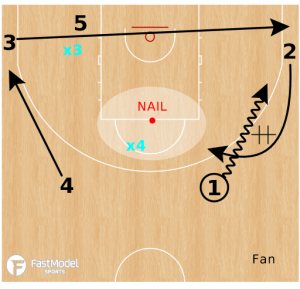 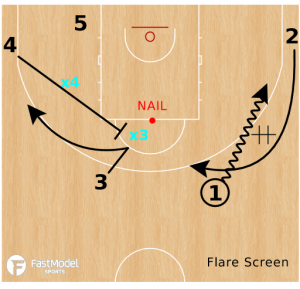 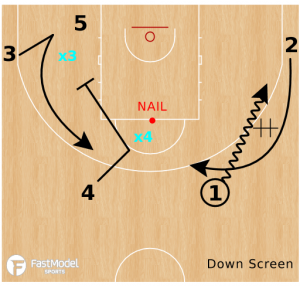 Six tips for moving the “NAIL” defender to aid in top penetration contributed to the FastModel Sports Basketball Plays and Drills Library by Randy Sherman of Radius Athletics. Some thoughts on ways to employ false motion and spacing to move the help defender and create driving opportunities from the top. 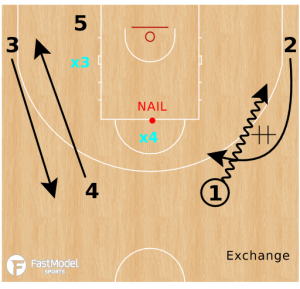 You might not be able to use all of these, but you can employ one or two to improve your spacing.